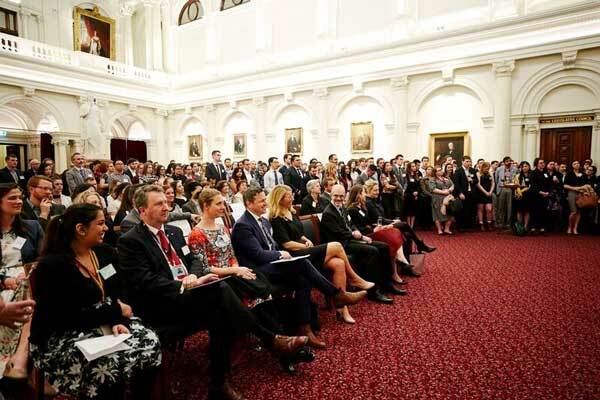 Special Minister of State, the Hon Gavin Jennings MLC, was joined by 300 guests to commemorate 35 years of the VPS Graduate Recruitment and Development Scheme (GRADS) on 2 October 2018. The Minister said that the longevity of the GRADS is a testament to the calibre and commitment of Scheme participants, past and present. He also paid tribute to the Departments who have embraced the program throughout its history. Since 1982, the program has launched the careers of more than 2000 public service employees, allowing them to work with purpose to deliver services and improve the lives of millions of Victorians. The event celebrated the career success of the individuals who have participated in the GRADS but was also an opportunity to focus on the future. GRADS is delivered by the Victorian Public Sector Commission, which is pursuing an ambitious change agenda to address the future workforce needs of the VPS. As part of this, a refresh to GRADS ensures that the Scheme meets the changing nature of work by recruiting and developing talented people who demonstrate resilience, flexibility and mobility. It was a privilege to join the celebration and reflect on the diversity of career trajectories of GRADS’ participants. GRADS participants have brought extraordinary creativity, energy and new ideas to the VPS. This energy and innovation will be critical in coming years. The VPSC is proud to be developing a dedicated Pathway that will provide graduates with disability a safe and accessible entry point to the Victorian Public Service. The VPS will benefit from the experience that people with disability bring to the public sector. 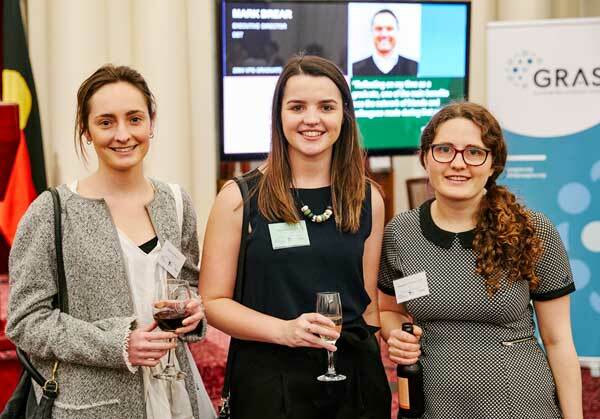 Held at Queen’s Hall in Parliament House, the event also celebrated 20 years of the Graduate Recruit and Alumni Society (GRAS). GRAS was established in 1998 by alumni of GRADS and works to support a stronger social, wellbeing and professional development network. With a membership base of over 500, their impact and reach are felt right across the VPS. 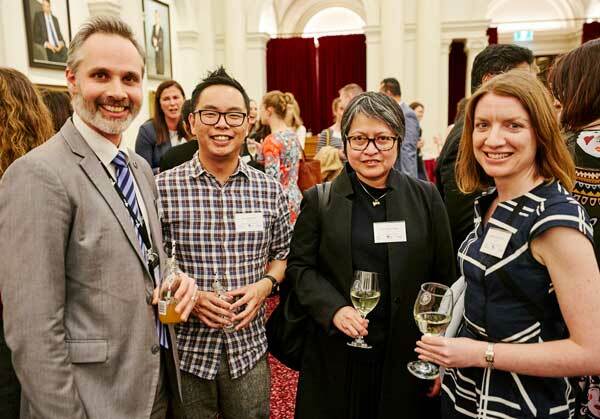 It is inspiring to see so many alumni reconnecting as they reflect upon their own experiences, all coming together to celebrate their contributions to the development and progression of Victoria. Current and recent graduates of the Graduate Recruitment and Development Scheme. 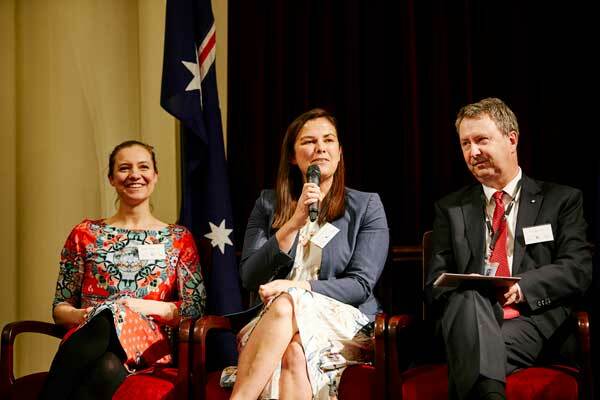 Panellist’s discussion featuring Katherine Whetton (Department of Education and Training), Miriam Slattery (City of Melbourne) and Tony Bates (Department of Justice and Regulation) focused on the strength of the alumni network. Members of the Graduate Recruit Alumni Society. More than 300 guests filled Queen’s Hall at Parliament House for the combined anniversary event.